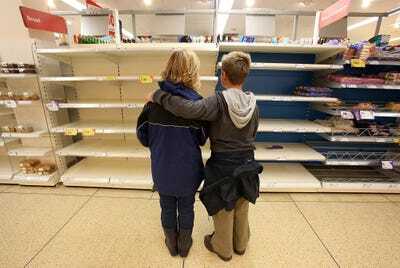 Getty ImagesA ‘doomsday’ style no-deal Brexit could see empty supermarket shelves within days. A “doomsday” style Brexit could see the country grind to a halt within a fortnight. This is because the Port of Dover would collapse on “day one,” according to scenarios drawn up for David Davis, as reported by The Sunday Times. A spokesman for the Department for Exiting the European Union has dismissed this scenario from becoming reality. The UK is scheduled to leave the European Union on March 29, 2019 and senior civil servants have produced three alternative scenarios – “a mild one, a severe one, and one dubbed ‘Armageddon'” – for David Davis, the Secretary of State for Exiting the EU. 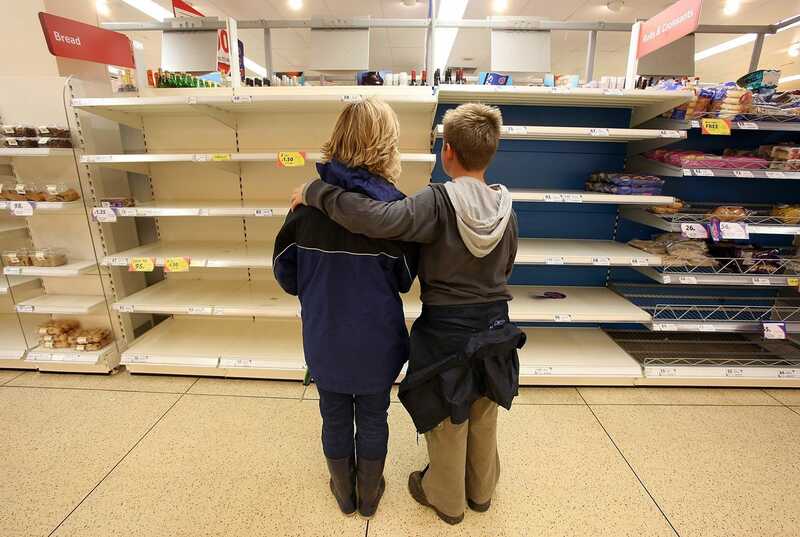 The Port of Dover, the nearest English port to France, is responsible for handling approximately 17% of the UK’s trade in goods, so if Britain crashed out of the EU with no deal and the port collapsed, it could lead to a desperate shortage of essential supplies. The UK may even have to enlist the help of the Royal Air Force to shuttle supplies to the more remote areas of the country. “You would have to medevac medicine into Britain, and at the end of week two we would be running out of petrol as well,” the source added. “A significant amount of work and decision making has gone into our no deal plans, especially where it relates to ports, and we know that none of this would come to pass,” the spokesman said.